Japanese vehicle for handicap person are popular around the world for easy accessibility, durability and less maintenance charges. 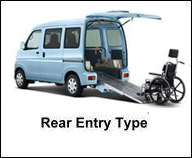 Buying a car for a disabled person direct from Japan is an easy process by Japan Handicapped car Export. You can buy Toyota Welcab car from famous line-up. Toyota Alphard wheelchair accessible is one of the most selling model in many countries. 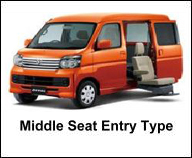 Whether you want to import Toyota Estima disability vehicle or Toyota Alphard for handicap, we can supply globally with speedy shipping process. However, we can export Right Hand Drive vehicles (steering wheel on the right side of car) only. We cannot supply Left Hand Drive Japanese vehicles for export, as we deals in domestic model Japanese cars only. 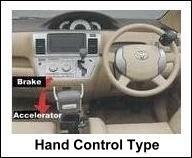 All Japanese Automobile manufacturers built cars specially modified for physically disabled person. 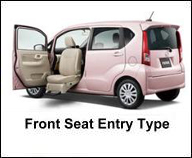 The handicap friendly models produced by Japanese car companies are: Toyota Welcab, Honda Welfare, Nissan LV, Mitsubishi Hearty, Mazda Welfare, Subaru Trancare, Daihatsu Friendship and Suzuki WITH series vehicles. Since, vehicles for handicap person are modified at time of manufacturing process, we can only supply "Brand New Japanese Cars" for handicap person. We cannot supply these category vehicles in used. We can also supply spare parts for any car imported from us to any country at manufacturer's price. The "Certificate of Conformity" and "Type Approval Certificate" will be provided upon request. Copyrights (C) Daihatsu Handicap vehicles Japan. All rights reserved.